It took plants 50 million years to develop roots as we know them today. Everyone knows that roots provide anchorage and access to water and minerals in the soil. But they do far more than that! Unlike twigs and stems, which have regular branching patterns, roots start out large and then divide, repeatedly and randomly, getting progressively smaller, in their search for food and water. At the end of each root is a root cap. The root cap is like a hard hat, worn to protect the growing meristem tissue, as the root moves through the soil, looking for water and mineral nutrients. Behind the root cap, along the length of new root tissue, are root hairs. Root hairs are not actually roots, as we think of them. Root hairs are actually cells used by plants to increase surface area. These threadlike cells push their way through macropores and micropores in the soil, in search of water and nutrients. As actual roots move through the soil, in search of new resources, these root hairs are sheared off. Root hairs can live for two weeks to two years, depending on the species. Usually, they only live for 2 or 3 weeks, but this is where the majority of water and nutrient absorption takes place. In legumes, this is also where root nodules used in nitrogen fixation develop. The root hairs curl themselves around the bacteria responsible for nitrogen fixation and allow themselves to be ‘infected’ with these beneficial bacteria. New root hairs are constantly being formed at the root tip, behind the root cap. Tree roots can damage sidewalks, patios, and your home’s foundation, so plan ahead before installing trees and large shrubs. Poor health or branch die off on one side of a tree or large shrub can often be directly linked to damage to the root system from construction, digging, or heat islands. Transplanting and repotting plants often shears off a large number of these root hairs. 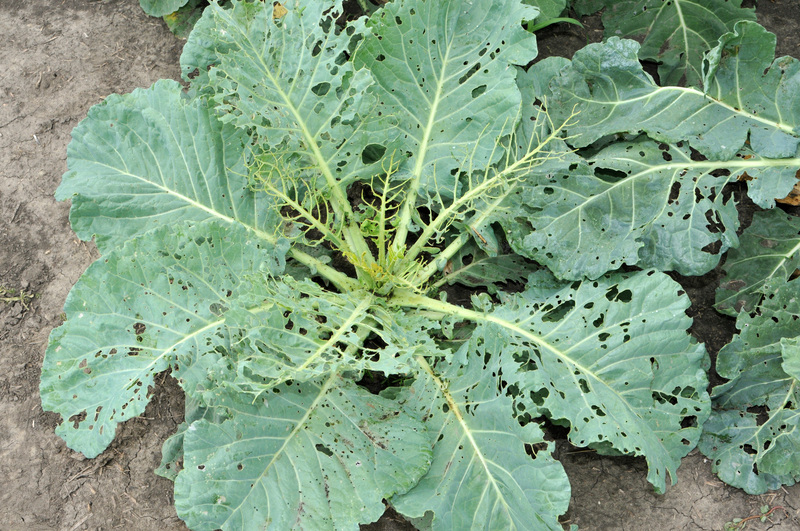 This is what causes the initial wilting. We used to think of tree roots as going down, down, down, into the Earth. In some cases, that is accurate. One tree in the Kalahari desert has a root system believed to be over 220 feet deep, but, in most cases, tree roots don’t look anything like that. Tree roots are most easily pictured as a goblet set on top of a dinner plate. The goblet represents the aboveground portion of the tree while the shallow, far-reaching dinner plate represents the root system. Very often, a tree’s root system is 4 to 7 times the diameter of the aboveground portion. Trees are often classified using a ‘root-to-shoot’ ratio. This ratio refers to the weight of the aboveground portion of the tree to its below ground growth. Normally, this ratio is 1:5 to 1:6. This means that the 5,000 lb. tree you see probably has a root system that weighs over 1200 lbs. The majority of a tree’s root system is found in the top 18 inches of soil. This is why trees fail over when the soil gets waterlogged. Trees growing in heavy clay soil, such as we have here, in the Bay Area, tend to have smaller root systems. This is because clay soil holds far more water and nutrients than other soil types. Many root crops are edible. These include beets, carrots, radishes, rutabagas, turnips, ginger, turmeric, horseradish, licorice, sassafras, and sweet potatoes. You may think that regular potatoes are a root crop, but they are not. Potatoes are tubers, which means they are the starch storage structures for rhizomes, or underground stems. This means that it can get crowded down there, if you are not careful. If you have deep raised beds, save them for the medium-sized root systems. Most deep-rooted perennials are best planted directly in the ground. The most shallow-rooted plants can often be grown in containers. Root depth also plays a big role in how drought tolerant a plant can be, and how deeply they need to be watered. When removing plants from your yard or garden, it is best, whenever possible, to cut the plant at ground level and leave the roots in the ground. As the roots decompose, they will feed the local soil microorganisms, which will migrate, over time, to help another plant thrive. Keyhole gardening is a method developed for areas experiencing severe drought and limited resources, specifically Africa. However, the concept is just as useful in other parts of the world and in your backyard. Keyhole gardens conserve water, and they provide plants with easy access to nutrients. Keyhole gardens are a variation on raised bed gardening. Keyhole gardens are round raised beds that feature a notch in one side that provides access to a composting tower, or basket, in the middle. As compostable materials and water are added to the center of a keyhole garden, the water and nutrients spread out within the keyhole garden to feed and irrigate your plants. The loose, nutrient-rich soil makes it easy to grow edibles in even the worst conditions. Mark off a 5- to 8-foot diameter circle on some flat, cleared ground. You can do this by tying a string to a stick or tool stuck in the ground in the middle, measuring out the proper distance, and then using the end of the strong as your guide to score the circle in the ground. In the center of that circle, mark off a 12- to 24-inch circle, using the same method. Dig a slight trench along the line of the larger circle, the width of your wall material. Mark a triangle in the soil from the larger circle to the inner circle. This is your keyhole. Build a central basket with a section of hardware cloth, chicken wire, or woven sticks. Place a thick layer of straw or shredded paper in the bottom of the basket, and then fill with alternating layers of compost and straw or paper, watering as you go. Cover the stalks with an inch and a half of wet, unwaxed cardboard, using a variety of sizes. This completes your drainage layer. Fill the outer circle with layers of topsoil, compost, and straw or shredded paper, banking the material up against the basket, and then water deeply. Build up the wall and continue filling and watering until you have reached a height that is comfortable for you. If you live in an area with a lot of rain or strong sunlight, you may want to add a protective roof over the basket. Plant crops in concentric circles, within your keyhole garden. Add compostable materials to the basket as they become available and then water. Most people know that yard and kitchen waste are compostable, but there are many other sources of perfectly acceptable materials for the basket of your keyhole garden or any compost pile. Remember that compostables are designated as “browns” or “greens” and that you should aim for a 50:50 mix of the two. Some interesting source of “green” compostables include coffee grounds and tea bags, often available for free from coffee shops, and fresh manure from local barns. [Manure from veterinary clinics is not recommended.] We throw away a profound amount of compostable “brown” material. Some sources you may not have considered include any paper or wood products (simply avoid the colored, slick, or waxed varieties), dryer lint, vacuum cleaner waste, unwaxed cardboard, and even clothing made from 100% natural fibers. Rather than adding these materials to local landfills, you can transform them into plant or worm food in your compost pile, worm farm, or in the central basket of your keyhole garden. Invasive plants are those non-native plants that infest an ecosystem. Unlike normal weeds, which have evolved within a specific ecosystem, invasive plants generally do not have any natural enemies, so they grow out of control. They use up water and nutrients, pushing out local flora and fauna. Some, such as Scotch broom, can be poisonous to your pets. Invasive plants are often introduced to your yard on purpose, by buying and planting something just because it "looks nice”. According to the UC Davis IPM (Integrated Pest Management) page: a 10,000 acre infestation of giant reed (Arundo donax) on the Santa Ana River in Orange County is estimated to use 57,000 acre feet more water per year than native vegetation. One group, PlantRight, has developed a list of invasive plants that should be avoided. Another group, Calflora, offers extensive lists (with photos) of plants that are invasives and plants that are under consideration as invasives. Taking the time to plant species that are native to your area reduces water waste and prevents the disruption of the natural lifecycle of countless plants and animals.